Djent is a word that is becoming overused in the metal community for any music that is complex. However in a way it is slightly fitting for certain types of music. Veil of Maya is definitely one of these bands as you can hear a lot of Meshuggah (Where the term “Djent” originates from) in their sound. Featuring some blistering metal, demented rhythms, and deranged vocals, Veil of Maya are absolutely insane. Combining technical metal with passages of insane death metal, they produce the listener with a huge wall of sound of complete insanity. This is music to bang your head to and then not be able to move your neck the next day. The musicianship is astounding, and the mix between complexity and brutal death metal is flawless. This is a band that knows that relying on technical mastery isn’t just what you need. You need to be able to write catchy songs as well, which The Veil of Maya do. They might not be sing along catchy, but you will be remembering the riffs for days to come. 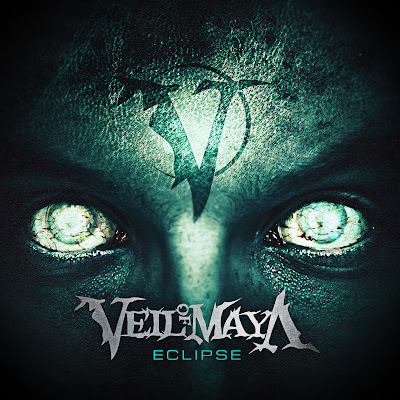 Overall this is a very good effort from the Veil of Maya, and it is off no surprise that they have just finished a tour with Trivium and In Flames. Definitely a band to watch out for.